Music is an universal language that provides stimulation, comfort and connection. 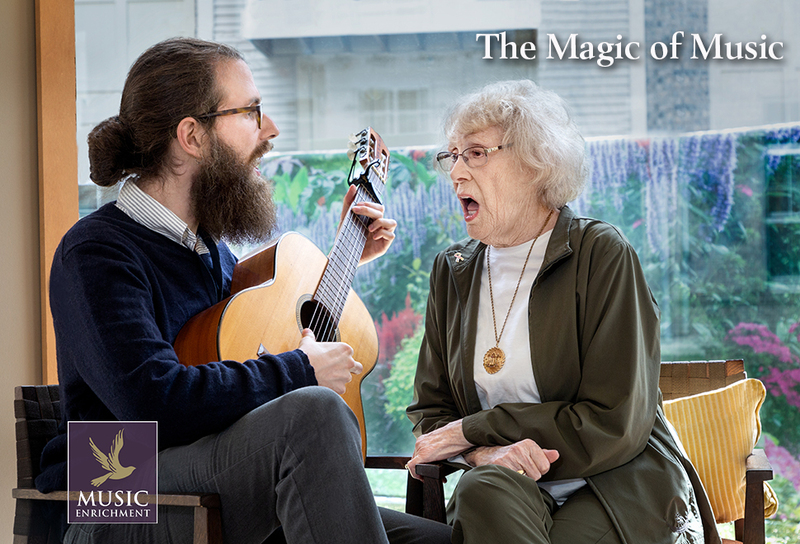 Music enrichment visits help patients and families recall the most joyous moments of their lives, and is particularly effective for patients facing stages of dementia. This stimulating activity speaks to these patients louder than spoken words can. We are grateful to Jacqueline & Myron Milgrom for establishing a fund to support JHCN’s Music Enrichment visits in memory of their daughter, Carole Jo Lasser, z’l. Click here to learn more about their story. To make a donation in support of the Carole Jo Lasser Music Fund, click here and choose the fund from the dropdown menu.